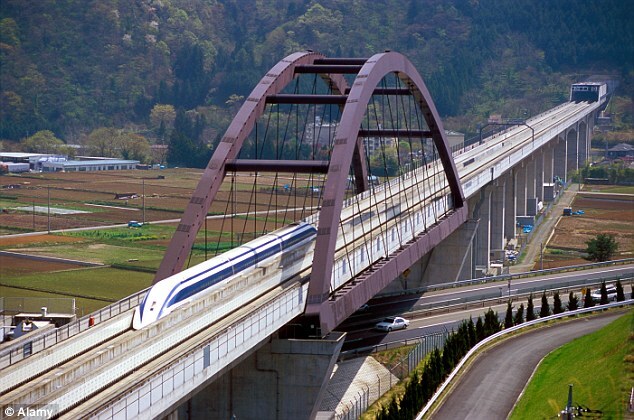 The first 100 passengers have experienced the lightning-fast speeds of Japan's maglev train. Pictured: the test track at Yamanashi Prefecture. 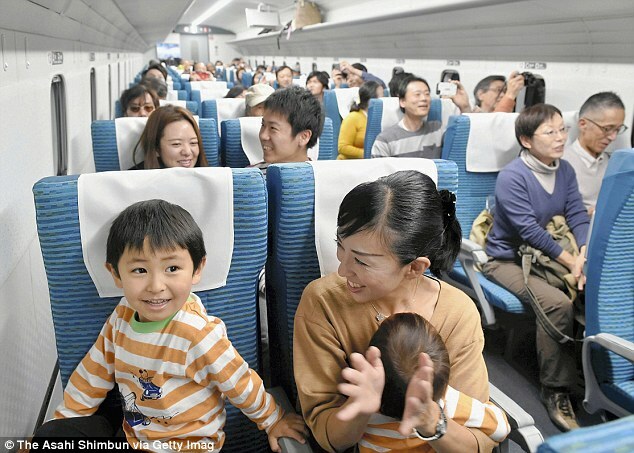 Lucky passengers have finally experienced the lightning quick travel time of Japan's maglev train.